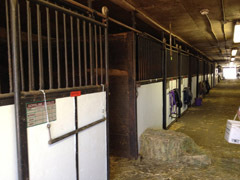 Large barn with 10x10 box stalls. Stalls are bedded with straw. Excellent quality hay fed 4 times daily. 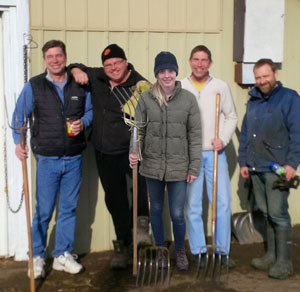 Oats and/or complete feed pellets fed twice per day, customized to each horse's needs. Loose minerals fed daily and salt blocks in every stall. 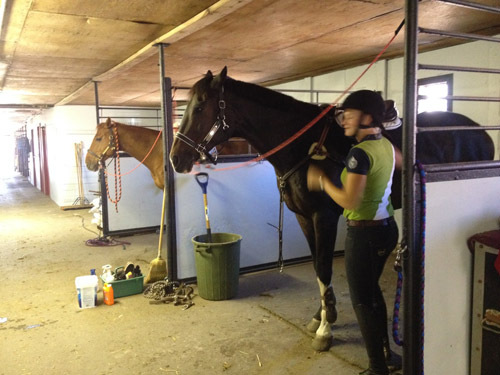 Large tacking up area with 4 grooming stalls, lockers and plenty of space for tack boxes. Wash rack available through summer months. 70 x 200 heated indoor arena. 125 x 300 outdoor sand arena. 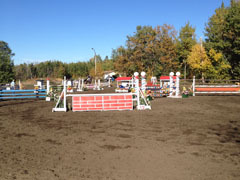 Diverse selection of jumps. Full courses set up and redesigned weekly.